Your Filter is the most essential piece of equipment in your fish tank. Like every other household pet, fish need a healthy environment. Because dogs and cats have largely the same environmental needs as ourselves, we are much more aware of conditions that could be upsetting our pets. A fishes “watery world” is completely different from our own and so we need to work actively to understand and maintain their environment. Filtration plays a crucial role in making that job a lot easier. Aquariums are a closed system and any waste or dirt produced by fish and plants remains trapped in the water, so if you do nothing about it the aquarium rapidly turns into an unhealthy sewer. 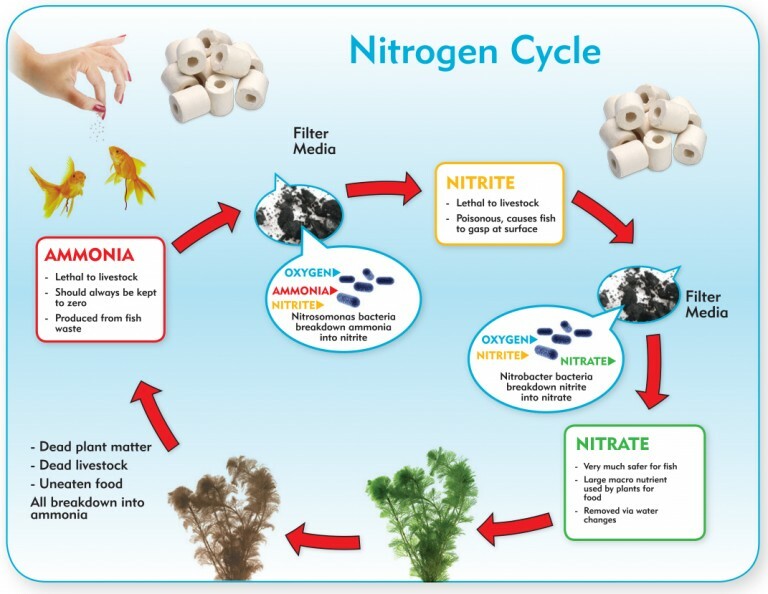 The filters biological filtration replicates a natural process called the Nitrogen Cycle, breaking down toxic waste to help maintain a healthy environment for your fish. The image below explains how the Nitrogen Cycle works, changing the very toxic Ammonia excreted by fish and the breakdown of waste into less toxic Nitrite and then to relatively safe Nitrate. In short, your filter is an essential life support system which makes the aquarium habitable for your fish. 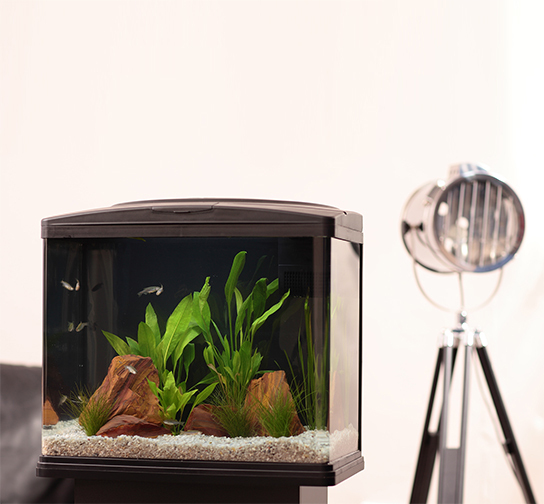 Here are a few top tips to keep your filter working properly and the aquarium water perfectly balanced. Check daily that your filter is running properly, check the flow and remove any blockages. 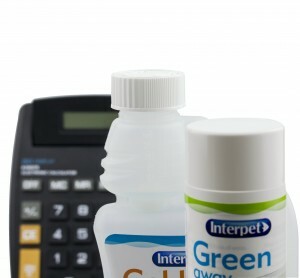 Top up any evaporation in your aquarium, treat the new tap water with a de-chlorinator like Bioactive Tapsafe plus. maintain your mechanical filter this is easily done in a cartridge filter by simply replacing your cartridge, otherwise clean or replace other mechanical filter media. Replace chemical media – carbon and algae pads as these become full up and need refreshing. 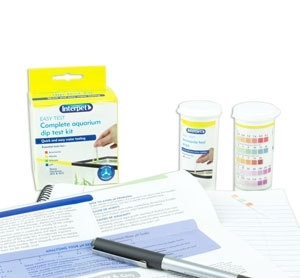 Dose with Fast Filter Start to boost bacteria levels which may have been lowered by filter maintenance. Most of the toxic chemicals are completely invisible to the naked eye so you need to test your water regularly to check for chemical irregularities. This way you can catch problems early before they have severe effects on the health of your aquarium. 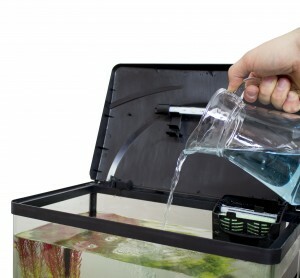 Testing your Aquarium Water What is New Tank Syndrome?